Fast, furious and funny, The Big Hoo-Haa! 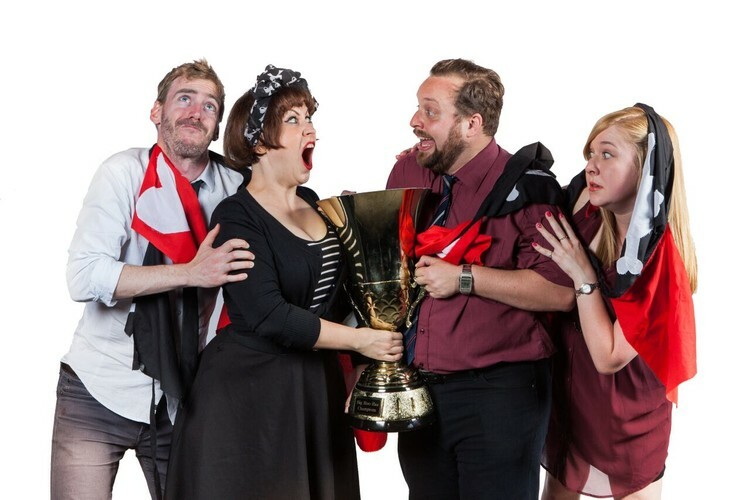 is Melbourne's longest-running and best-loved weekly impro comedy show. Starring a who's who of Melbourne's finest comedians, every Friday night The Big Hoo-Haa! ensemble dazzles audiences with its unique brand of high-octane impro, killer punchlines and sizzling (and occasionally fizzling) one-liners. Hosted by The Butterfly Club in the heart of Melbourne's CBD, two teams, the Hearts and the Bones, battle for comedic supremacy before your very eyes, armed with only audience suggestions and a handful of props as they leave no song unsung, no joke undelivered and no pun unpunished in their mad dash for the punchline.